Unitek College is proud to announce we are accredited! FREMONT, CALIFORNIA – (May 3 2010) – Unitek College’s Fremont campus announces that their career training programs have received accreditation from the Accrediting Commission of Career Schools and Colleges (ACCSC) which includes Unitek College’s San Jose campus. The ACCSC is an accrediting body that is recognized by the U.S. Department of Education and has over 40 years of experience in the field. Receiving the ACCSC accreditation is an important and vital step for any educational institute, being that it provides a standard for which all education institutions should strive for. More poignantly, “ACCSC accreditation enhances the quality of education provided and promotes institutional accountability by systematically and comprehensively evaluating institutions based upon criteria established via the Standards of Accreditation,” as stated by the ACCSC organization itself. How does this affect Unitek College students? 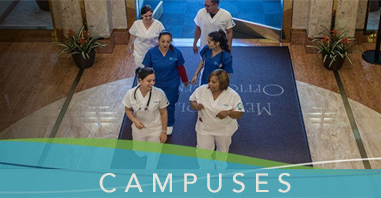 This is reassuring news for those students who have been pursuing one of the several career-training programs offered by Unitek College which includes: Vocational Nursing Training, LVN to RN Training, Associate Degree Nursing Training, Medical Assisting Training, and Pharmacy Technician Training. Unitek College is a fast-growing industry leader in providing career training for the pharmaceutical, medical and healthcare fields. The voactional training school has three California campuses, one each in Fremont, Sacramento and San Jose. 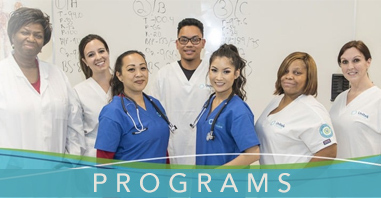 Programs offered include Vocational Nursing training, LVN to RN training, Associate Degree in nursing, BSN Degree, Medical Assisting and Pharmacy Technician training. To learn more about Unitek College, visit www.unitekcollege.edu. https://www.unitekcollege.edu/wp-content/uploads/2017/07/unitek-college-logo-01.svg 0 0 Unitek College https://www.unitekcollege.edu/wp-content/uploads/2017/07/unitek-college-logo-01.svg Unitek College2011-10-21 19:21:142017-08-01 03:38:10Unitek College is proud to announce we are accredited!